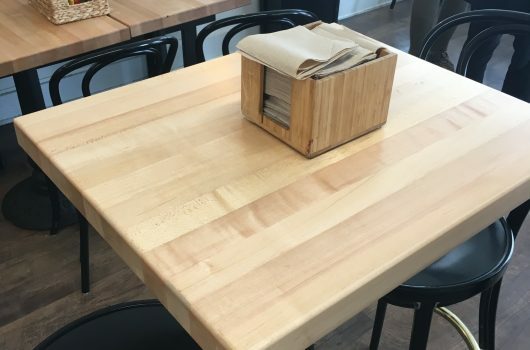 I captured this shot of our Maple butcher block in the wild. 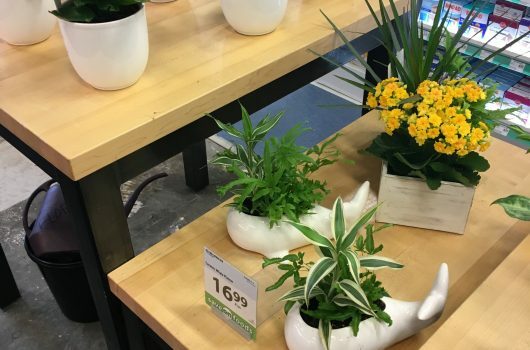 These were being used in the Floral Dept of Save On Foods in British Columbia. 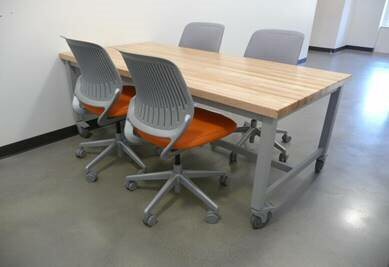 Some great shots of Butcher Block in a recent OnePointe installation. 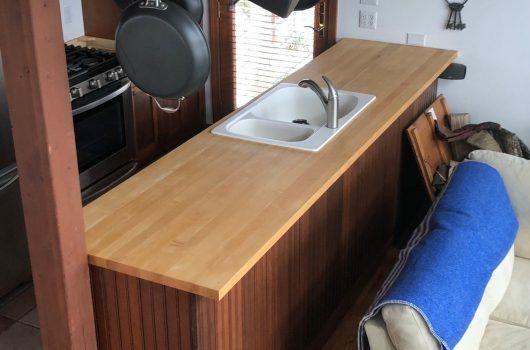 This block was seen in the wild in a small restaurant on Mackinac Island MI. 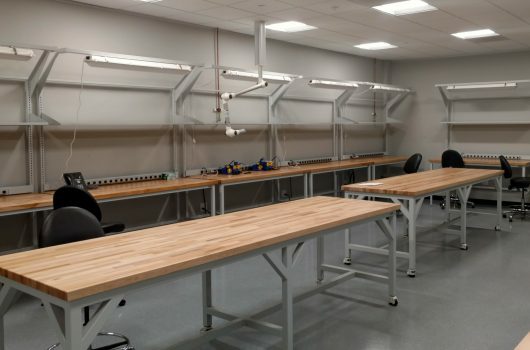 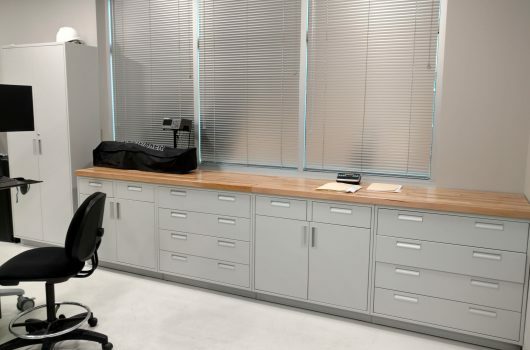 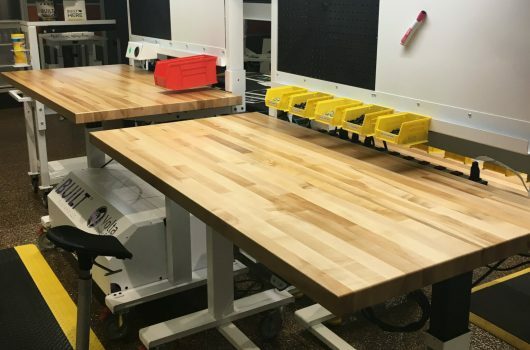 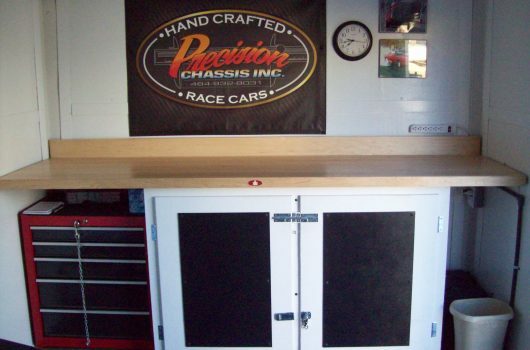 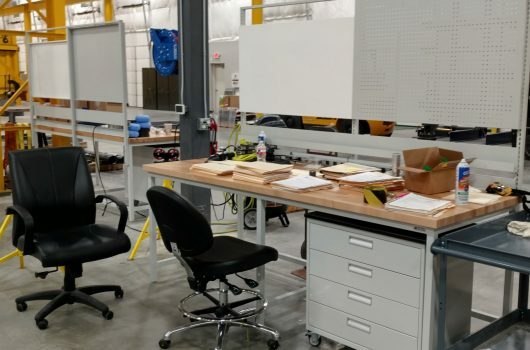 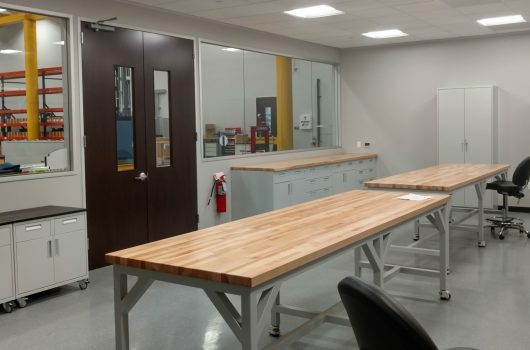 Here are solid Maple Butcher Block workbench tops being used on a variety of workstations. 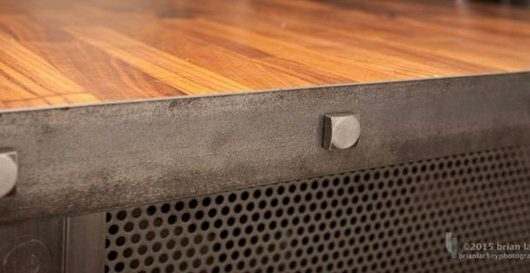 The looks and the durability cannot be beat. 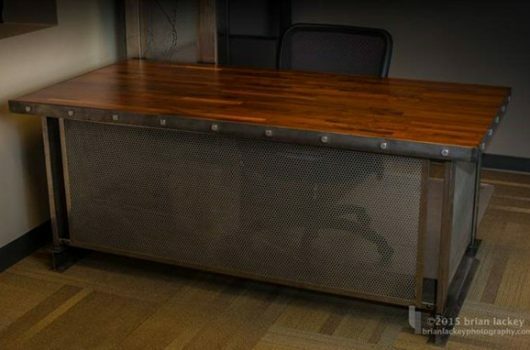 This custom made executive desk features a American Black Walnut Butcher Block top and custom metal work. 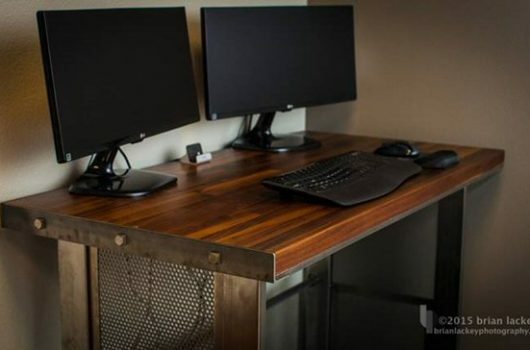 It works as both sitting desk and a higher standing work top. 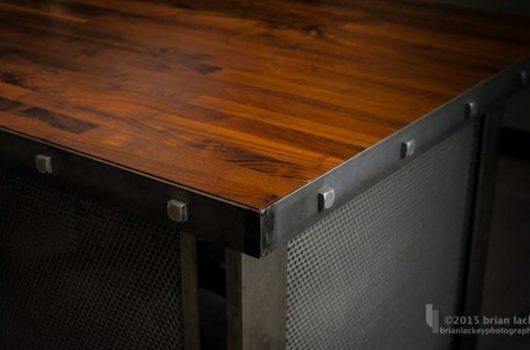 The rugged metal work contrasts well with the elemental characteristic of a solid wood top. 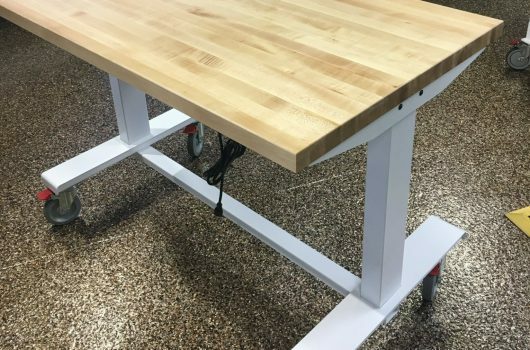 This is a versatile school table which manufactured by Heick’s Cabinet. 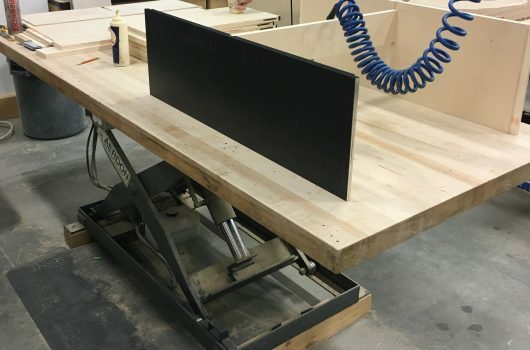 It is popular with the Solid Northern Hard Maple Butcher Block top by Michigan Maple Block. 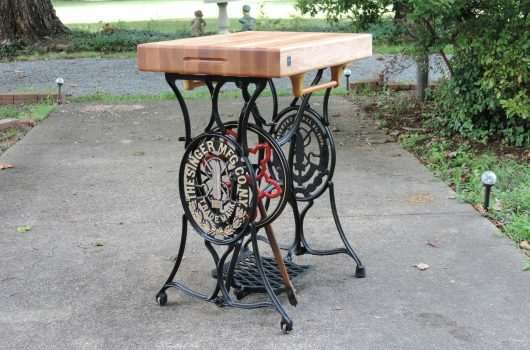 18 x 24 x 3 inch maple from Wood Welded. 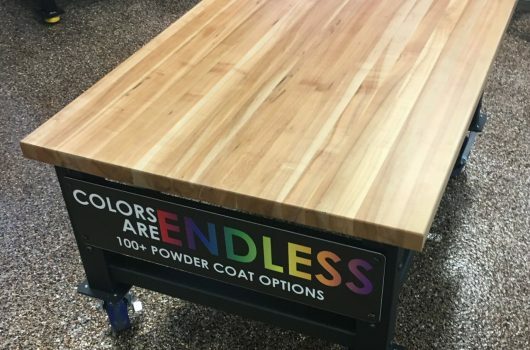 Thank you for the very fine product.